Excellent book for teachers or anyone that wants an easy to readbeautifully illustrated synopsis of a poets life. I just wish there were more poets available. The poets available are excellent examples, from Walt to Maya Anjelo is a good start. These make great sources for teachers who want a weeks worth of material and background info.Would also be good gifts for a parent who wants to introduce the art of words to a child. 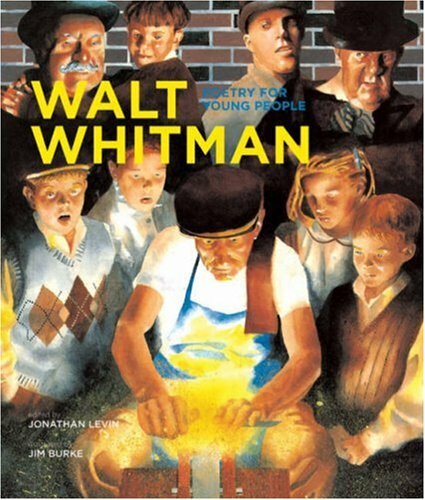 I think this is a wonderful guide to poetry by Walt Whitman.I was able to learn something about his poetry myself.The illustrations are very good and the poetry is presented in manageable pieces.That is important for teachers who are teaching the poetry. I cannot think of a better way to introduce the poetry of Walt Whitman than this small volume.The selection is excellent and of interest you the young reader.The commentary is quite relevant as are the pictures which accompany it.I find that often now, our young people go all the way through the early grades in school and many of them have never heard of Walt Whitman, much less read their poetry.This was the sort of stuff my generation and the generation before it grew up on and cut our teeth on.I do not feel I am any worse for the wear.I am fearful that we are bringing up an entire generation (rightfully or wrong, although I feel it is the later) of young folks who will have no appreciation to this great art form and will miss a lot.This book helps.This entire series helps, as a matter of fact and I certainly recommend you add this one and the others to your library.Actually, it is rather fun reading these with the young folk and then talking about them.Not only do you get to enjoy the work your self and perhaps bring back some great memories, but you have the opportunity to interact with your child or student.It is actually rather surprising what some of the kids come up with.I read these to my grandchildren and to the kids in my classes at school.For the most part, when I really get to discussing the work with them, they enjoy it.Recommend this one highly. Editor Jonathan Levin and illustrator Jim Burke have put together a wonderful introduction to the poetry of Walt Whitman. Although marketed as a children's book, this volume will also appeal to older admirers of the "Good Gray Poet." Holbrook, Sara. 2002. Wham! It's a Poetry Jam: Discovering Performance Poetry. Honesdale, PA: Wordsong Publishing. ISBN 1569379885. "Show the world that poetry was never meant to simply lie quietly on the page, any more than kids were meant to sit quietly in their seats to read it." With this closing line Holbrook encourages teachers and librarians to try out the exercises outlined in this work to get kids up and performing poems from favorite poets and their own creations. The author includes her own poetry in this work to demonstrate performance poetry and include tips and advice to adults and kids on how best to perform certain works. The format of this work lends itself to adults wanting to include performance poetry and poetry jams in their classrooms or programs. Each poem is paired with explanations on how best to perform the poem out loud, alone or with a group. The instructions are included at the beginning and end of each poem, and additional cues are highlighted in colored boxes of various shapes on each page. The author includes open ended questions to encourage children to think about how the poem sounds when performed with different tones and emotions and ways to include movement in the performance. Each page of cues, instructions and poems give teachers ample information on not only performing the poem offered but also encouraging children to want to perform. The work begins with poems suited to more than one voice to give children the safety of performing as a group. Holbrook then moves on to solo performances and how to instill the courage in children to give this a try. The most useful chapter for adults working with children is "Get Ready to Wham: A Word (or Two) About Contests. 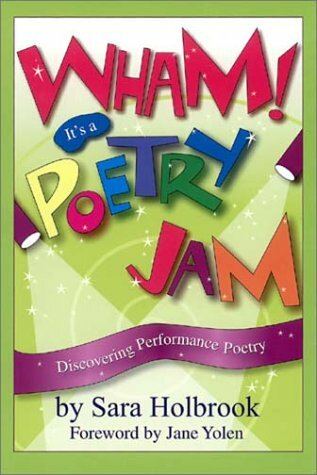 This chapter provides useful information in hosting a poetry jam that would be a contest between performers. Holbrook includes instructions for who can participate, how to keep score, who the judges should be, the rules to follow, who is in charge of the contest, and other information to ensure a smooth and fun poetry jam for all contestants. The inclusion of this chapter is clearly helpful to beginners in the poetry jam field. Holbrook's enthusiasm for the subject comes through loud and clear. Unfortunately, her chipper tone and dramatic phrasing could turn some young teens off. This book is best suited for teaching adults. There are a lot of good solid pieces of advice, instruction, and tips in this short work for teachers and librarians. From the use of stage space to the tone, rhythm and emotion behind the words to the volume and strength of the voice, Holbrook offers the right information to inspire adults to give performance poetry a try in the classroom or library programs. Her daughter is my teacher and we did an activity at the end of the year with this book. It really is top quality. Very Good! Another Great Book for Students to Steal From Your Shelves! 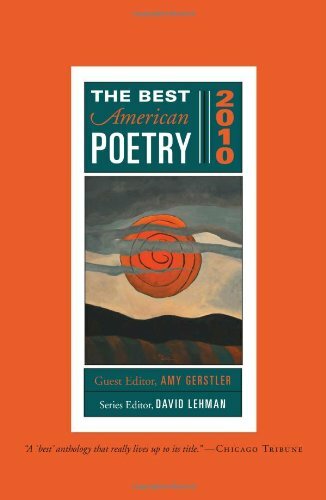 AMY GERSTLER’S COMMITMENT TO INNOVATIVE POETRY that conveys meaning, feeling, wit, and humor informs the cross section of poems in the 2010 edition of The Best American Poetry. 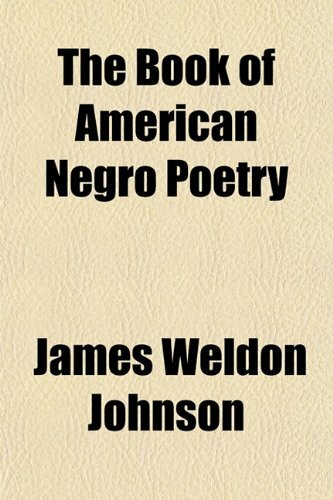 The works collected here represent the wealth, the breadth, and the tremendous energy of poetry in the United States today. Featuring poems from some of our country’s top bards, including John Ashbery, Anne Carson, Louise Glück, Sharon Olds, and Charles Simic, The Best American Poetry 2010 also presents poems that poignantly capture the current moment, such as the sonnets John Updike wrote to chronicle his dying weeks. And there are exciting poems from a constellation of rising stars: Bob Hicok, Terrance Hayes, Denise Duhamel, Dean Young, and Elaine Equi, to name a very few. The Poetry Reader's Toolkit was written to be just that: a toolkit to help students read and understand poetry. Students will learn how relevant and accessible poetry can be by walking through a wide variety of poems in a straightforward, conversational tone. 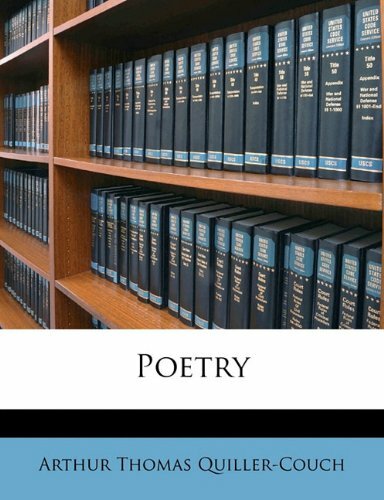 This easy to read guide shows students how poetry conveys emotion, introduces them to different imagery, explores sound, covers metaphors and similes, and explains verse forms, line breaks, and numerous other poetic devices. I am so pleased that this book is still in print and that it is still being read.I was given what my high school poetry teacher affectionately called "Our Toolkit" when I was 17 and insecure and intimidated, pretty much by everything, but I thought that literature could be one place--perhaps the only place--where I might feel safe. 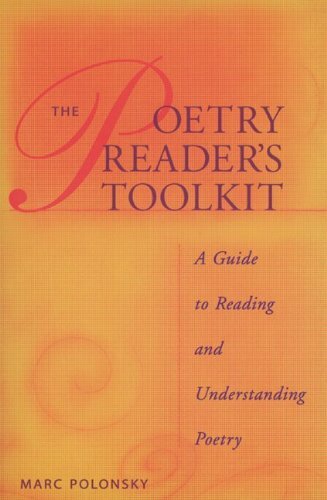 We read and used "The Poetry Reader's Toolkit" throughout the year.Never had I experienced a class where such intimacy was shared.The book is approachable but never trite, deep but never condescending.I found that I came to agree with the author that "Poetry is just about essential as air. 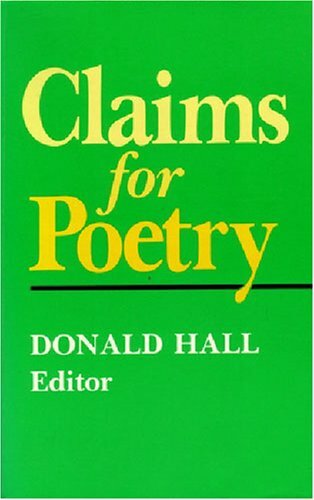 "The straight forward progression of understanding, the patient urge to "unearth" the poems through basic questioning, the direct and beautifully exemplified use of poetic terms, and above all the great variety of poetry included didn't just make me feel more safe--it made me feel, I think, less alone. I loved our toolkit so much that I asked if I could buy it and keep it. I did. Ten years later, I'm toiling over an intensive 4-week-semester required Introduction to Literature course that begins tomorrow at a community college where I teach in Manhattan. I've been procrastinating like a pro all summer, and especially in the Poetry department, for since my high school days I've shrunk from poetry and veered toward fiction. I was going through my books all weekend for some semblance of thought about how to teach poetry when I feel so far from it myself. Past semesters have not proved easy, and students approach poetry with even less enthusiasm than they approach the first day of my class.I was just about to give up, when there it was: Our Toolkit with its bright cover, somehow barely scarred by the 9 times I've packed up books in boxes to move around the country for ten years.It survived.I read the first chapter and just knew that this book would see me through my fears about teaching poetry and maybe even see my students through their fears and reservations about reading it.I guess we'll see.The toolkit will be my guide and their guide, and maybe just one student will end up feeling as safe as I did at 17 when I was given this book. If the world made sense, this fine book would be found not only in every high school and college library, but in a lot of family homes as well, right next to the child-rearing guides and home fix-it guides. For in a world that made sense, a lot more people would grasp the transformative power of poetry and be passing on what they knew about it to their kids - and if they didn't know much, they could just pass on this book. Neither sentimental nor haughty about his subject, Polonsky manages to analyze both famous and lesser known poems, sometimes in great detail, without killing them off. This is a rare capacity that depends equally on his common sense, practiced insight, and clear, straight-ahead writing style. 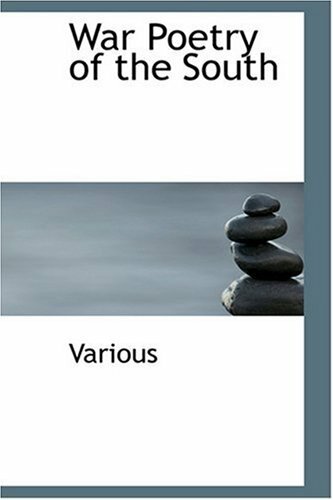 Available in both student and instructor editions, this "toolkit" covers all the necessary fundamentals, and it's significant that "Emotions" is the first one explored - well before the discussions of sound, symbolism, verse forms and other technical aspects are taken up. That's because Polonsky has his ducks in a row and his heart in the right place, and that's what infuses the laudable competence of this manual with an irrepressible spirit. "I think poetry is just about as essential as air," Polonsky declares. "I believe that much of the violence and psychological illness and unease in our society is probably due to poetry deprivation." This is obviously not your high school English teacher talking, but a man on a passionate mission. If this book gets spread around like it should, the world just might start making sense. ...........if you are like me, and are interested in learning to truly appreciate poetry like you never have before, I highly recommend this book. Polonsky not only introduces the reader to some beautiful and loved poetry, he uses each poem as an example to illustrate a concept in understanding poetry. This, for me, shed a beautiful new light on poems I had previously enjoyed, and also opened my eyes to some poems that I had previously not known or simply underappreciated. For example, "The Waking" by Theodore Roethke plays over and over like music in my mind now. I had never really heard its rhythm before. Polonsky shows us how poetry conveys emotion, introduces us to different uses of imagery, explores sound in poetry, covers metaphors and similes and their use, explains different verse forms, line breaks, synesthesia, and numerous other poetic devices. Additionally, he encourages us, as "students" of poetry, to seek out poems that demonstrate each concept and advises that we keep a journal of our discoveries. This book is a real gem that I truly believe I have derived a greater appreciation of poetry from! Curious about poetry? Read this and you'll get hooked! I was hungry to learn poetry. It always seemed a puzzle that was never quite solved.So, for Christmas, I hinted for a book about how to read/write poetry.Santa read my list (thanks sis) and got my wish:)Thisbook was a joy to read.It unlocked many of mysteries of poetry for me andgave me a wonderful preparation before I dived head first into thismysterious pool of poetry. 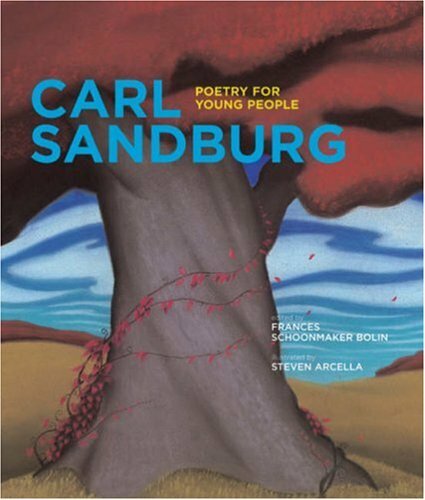 This is another addition to one of the best literary projects to come along in quite some time...Poetry for Young People.This particular work of course deals with the works of Carl Sandburg.It is illustrated by Steven Arcella.The book, as with the others in this series, starts with an introduction to the poet.This is good stuff alone.It is good to know something about the author of the work you are reading, and children, probably more so than adults, need this information.This volume includes Sandburg's Fog, From the Shore, Young Sea, Last Answers, A Sphinx, Little Girl.. Be Careful What You Say, Margaret, Arithmetic, Plowboy, Monotone, Phizzog, Mask, Summer Grass, Summer Stars, Sky Talk, October Paint, Old Woman, Buffalo Dust, a Coin and Doors.I certainly am not going to remark on the quality of Sandburg's work.Those who read him will be well aware of this.This collection though, is upbeat, delightful and gives a pretty good view of the poet's range. The art work which accompanies the poems is very appealing and relaxing and very well executed.Like the poetry, it has a dream like quality and is a delight. 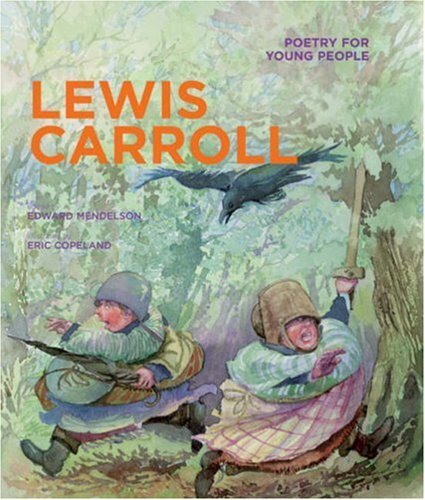 This is a book which is perfect to read to your child or to an entire class.Poetry has fallen out of fashion in many of our schools now, which is not only a shame, but I feel almost a crime.Our kids are missing so very, very much.This little edition is an ideal start. It, and the rest of this series, should be in ever school library, in every class room and indeed, on your kid's book shelf.I do highly recommend this one. 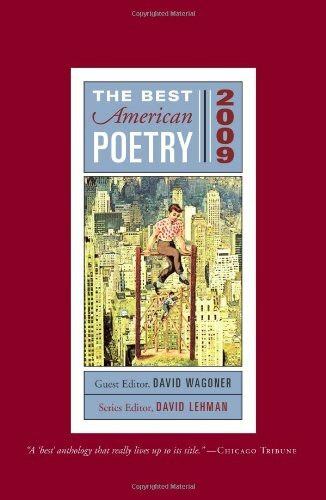 It takes work to put together an anthology like "The Best American Poetry 2009." The editor, in this case David Wagoner, reads scores of literary journals (online and print), general publications, and books of poetry, sifting through literally thousands of poems to select 75 that he or she considers the best of the year. Wagoner, a poet, former poet editor and university professor, has chosen works by poets both well known and not-so-well-known, works that are simple and works that are complex, poems that vary in style and substance and subject and purpose. Represented here are established and broadly recognized poets like John Ashbery, Billy Collins, Adrienne Rich and Philip Levine, and younger and newer poets as well. you are a mark in the snow. What a delightfully insightful way to describe words - "stubborn little boxcars lugging meaning." This is just more of the same. There are a few spectacular poems, but Wagoner does the same mediocre job that the previous editors have done. When is Lehman gonna get a Dana Gioia, R.S. Gwynn, Kim Addonizio, Dave Mason, or AE Stallings to bring this series up to what it should be? for here and now, this is how - yes and a little no. good price good text, interesting but not always inspiring. It's been three or four years since I last read in this series, so I can't speak to whether it's an improvement over its most recent predecessors. This edition lacks long poems or anything particularly moving, arresting, or, for that matter, infuriating. At best there were a few that made me smile (among them Denise Duhamel, Richard Howard, James Richardson (albeit with a very arch, very The New Yorker poem), Matthew Zapruder (the ending)), and a couple that were formally clever (Ronald Wallace, especially). There are also some duds by famous names (e.g., Derek Walcott, Adrienne Rich and Mary Oliver), with W.S. Merwin's more admirable than lovable and John Ashberry's entertaining but, by his own admission, sort of lazy. Billy Collins's contribution did not impress me as much as it did other reviewers. A few poems inspired by the Holocaust, the Iraq War or other awful historical events were among the weakest. And some of the contributors' notes tell you more than you need to know. The book is more of a palate-cleanser than a main course; you'll be able to get through most or all of it on a cross-country flight, which seems like an appropriate venue for reading it. My indifference to most of this anthology may have been biased by the fact that I had been dipping into Montale's early work (Ossi di seppia/Cuttlefish Bones) a few days before picking up this book. To say that's a much better way to spend your time (e.g., in Jonathan Galassi's bilingual version) is a wild understatement, but maybe you'll find it a helpful steer nonetheless. Poetry's inexorable drift toward the chatty and mundane--as well as its obsession with politicized art--is as perfectly demonstrated in this anthology as any other today.Of course, these days poetry just makes us yawn, and we pause only infrequently to waste time building up an angry head of steam.What's the point, after all?Form and elequence, understatement with a nod to anything like a universal audience is just so passé, dahling.Poets (but mostly their editors) have snarked, harangued and marginalized themselves out of a popular audience. But still the anthologies keep coming, because nobody has the $50 to subscribe to obscure little journals anymore.Poets have to publish SOMEWHERE.And since there are so many now, unconstrained by talent or...heck, restraint, they're dressed up here, ready to be given for the holidays. A couple of them are even good.I liked Lance Larsen's "Why Do You Keep Putting Animals In your Poems? ", and if his title smacks of smug self-reference, his language doesn't. "Badgers rarely invent stories to make them / Sad about their bodies", he smiles. And he goes on, beautifully: "My happiness / Is like a flock of sparrows that scatters when a bus / Drives by, then restrings itself two blocks away".Isn't that lovely? Denise Duhamel's "How It Will End" defies the modern trend.Its universal theme and delicious ending strike a Billy Collins delight in absurdity.Collins, too, is here (isn't he always?) and my son smiled when I read him Collins' "The Great American Poem".Maybe it is, maybe it isn't.Maybe "The Lanyard" is the G.A.P.And that was years ago. The Contributers' Comments and Notes are, predictably and tellingly, thicker than the poems.In them, poets hold forth, filling you in on that trip to Venice, or the time the cat caught a mouse and they cried.The stand-alone poem--where we possess all the societal commonality we need to relate to it,where the language, form and metaphor wrap us in the divine, and when each time in our lives we read it, we grow a little more--is, for the first time in Western history, a long-gone dream.I fear we will never see its like again. The poems in this collection are meditations on the natural world, written from the perspective of what Li-Young Lee has aptly termed "a passionate interiority." The history and geography of the American West inspire many of the poems' investigations of the environment and the role of the individual in relation to that environment. In Cecily Parks's landscape made strange by human consciousness, being lost is a requirement, though not a guarantee, of being found. I usually read poetry books in pieces, here and there.But I wanted to do something different this time, be involved, consumed with one poet's perspective.Cecily's debut book of poems are great for that because she has such a gift of imagery and feeling.The poems are set in the great west and rooted in river and ground.They have a sense of flight and wildness and languishing, not quite human but deeply so, at the same time.Her language, grammar, and pace are natural, astonishing, right.And she does marvelous things with alliteration and internal rhyme so it's a musical treat to read the poems out loud. I didn't understand the Woman Homesteader poems, which seemed too spare and disjoint to give me more than a vague sense of changing season and isolation.But there were a dozen other poems I read and reread with pleasure.My favourites included "Luna Moth" "The Minister's Bad Wayward Girl" "Self Portrait as a Seismograph" "the Widows of Pepacton Reservoir" "Beast-Lover Variations" and "A First Warning to the Eel Fisherman. "The conjoined words in "Pillow with Boy and Fungus" were fabulous as were all the non-verbs used as verbs in "One Could Peach." there is no sensitivity in numbers. dragon's mouth to frog's mouth. Perhaps not even the best poem in this book! How glad I am that I bought this book when it was first published in 2003. 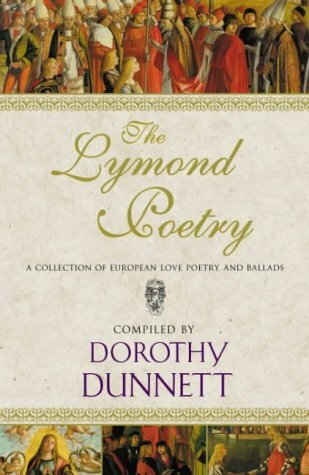 This book is almost essential as reference material for those of us who seek to have ready and easier access to the poems behind Lymond's quotes. It is also a lovely memento of the wit and erudition of Lady Dunnett herself.If you are a Dunnett fan, and you have an opportunity to acquire a copy of this book, do so. It will enrich your enjoyment of the Lymond Chronicles immensely. "Creativity is a means of controlling chaos, finding order. Business and poetry draw their waters out of the same well." 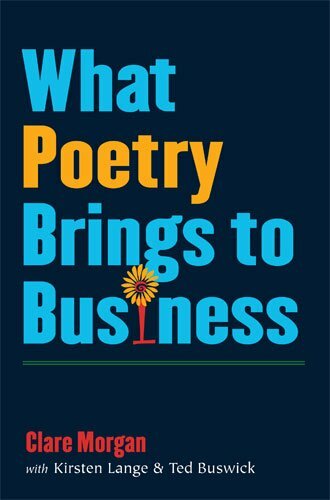 "At last there is a book that explores the deep but unexpected connections between business and poetry. Clare Morgan and her colleagues demonstrate how the creative energy, emotional power, and communicative complexity of poetry relate directly to the practical needs for innovation and problem solving that face business managers. There has never been a book on developing managerial potential quite like this one." What does poetry bring to business? According to Clare Morgan and her coauthors, it brings complexity and flexibility of thinking, along with the ability to empathize with and better understand the thoughts and feelings of others. Through her own experiences and many examples, Morgan demonstrates that the skills necessary to talk and think about poetry can be of significant benefit to leaders and strategists, to executives who are facing infinite complexity and who are armed with finite resources in a changing world. What Poetry Brings to Business presents ways in which reading and thinking about poetry offer businesspeople new strategies for reflection on their companies, their daily tasks, and their work environments. The goal is both to increase and broaden readers' understanding of poems and how they convey meaning, and also to help readers develop analytical and cognitive skills that will be beneficial in a business context. The unique combinations and connections made in this book will open new avenues of thinking about poetry and business alike. Clare Morgan is Director of the graduate creative writing programme at the University of Oxford. She has run workshops and given presentations on this topic in the United States, the United Kingdom, continental Europe, and Japan. Dr. Morgan is a fiction writer and critic, and a Fellow of the Royal Society of Arts. Kirsten Lange and Ted Buswick are employed by The Boston Consulting Group, an international management consulting firm, she as Managing Director of the Munich office, he as head of Oral History and Archiving. Interesting concept.I am not a poetry guy. but am an inventor, and this brings a lot to my way of thinking. Note: I made some Mormon reader angry over my reviews of books written by Mormons out to prove the Book of Mormon, and that person has been slamming my reviews. He or she doesn't want you to read Hoffer's book. Your "helpful" votes are appreciated. Thanks. On The True Believer: This collection of essays is a classic, and it can be read in independent sections. "The Absence of Religion in Shakespeare" was fascinating. 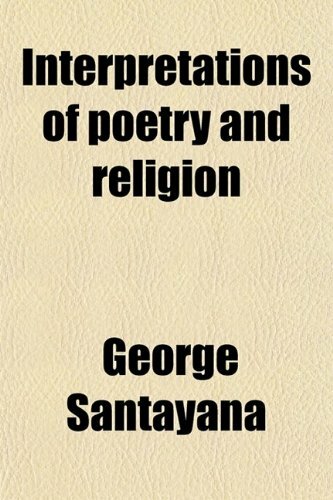 The essays are full of the epigrams that make Santayana famous--"Oaths are the fossils of piety." "But for Shakespeare, in the matter of religion, the choice lay between Christianity and nothing. He choose nothing. "Yet: "Life did not pass before his eyes as a mere phantasmagoria. He seized upon its principles; he became wise." "In Shakespeare's time and country, to be religious already began to mean to be Puritanical; and in the divorce between the fulness of life on the one hand and the depth and unity of faith on the other,there could be no doubt to which side a man of imaginative instincts would attach himself." Other great essays in this book include, "The Poetry of Barbarism" and "The Poetry of Christian Dogma." From an essay in other book comes Santayana's famous line: "A fanatic is a person who redoubles his effort after he has forgotten his aim." "A fanatic closes his eyes daily to the sun, so that he might see better by starlight." 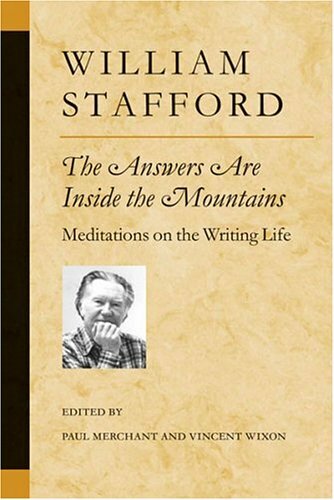 In this posthumous collection of his meditations on writing and the writing life, William Stafford's lifelong refusal to separate his work from the task of living responsibly -- "What a person is shows up in what a person does" -- rings clear. Stafford kept a journal for nearly half a century and produced over 20,000 poems -- a treasure trove of writing still being uncovered long after his death. The book begins with the words "To overwhelm by rightness," a phrase evoking the two demands Stafford made on himself: to write well, and to live uprightly. This book lives up to those deceptively simple ethics. In his words William Stafford lives on as a voice for our times -- a bright light in a clouded age. William Stafford, who died in 1993, authored more than thirty-five books of poetry and prose during his lifetime, including the highly acclaimed Writing the Australian Crawl: Views on the Writer's Vocation, You Must Revise Your Life, and Traveling Through the Dark, winner of the National Book Award for Poetry. Picking up out of the current as it goes by . . . The most important American poet of the second half of the Twentieth Century--Stafford is my top candidate, anyway. You may have somebody else in mind. "If you write . . . the activity of writing will make things occur to you in your mind. You write the documentary that you think, rather than the documentary that you live. When you write, it doesn't make so very much difference what you have done or intend to do, but it makes quite a bit of difference what occurs to you at the moment you're writing. . . . it's just as if you have a readiness to respond to what occurs to you at the moment." Stafford is so humble that we may have yet to grasp how vast he is--how expansive his vision. For Bill Stafford, writing is not about being a great writer, or getting published in the best publications--it's about being a good person--a whole way of life, of which the written poem on the page is an evidence, a record, a door that opens to us, his readers. "In everyone's life there's all this torrent of things happening and a writer . . . maybe one way to say it would be someone who pays attention at least at intervals, to that torrent. Or a writer is not someone who has to dream of things to write, but has to figure out what to pick up out of the current as it goes by." Lucky us, whether we write, or read or just live, that Paul Merchant and Vince Wixon put together this collection of Stafford's statements on his writing and teaching. 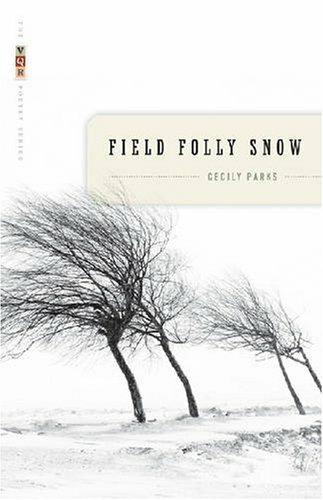 We're lucky indeed to have three other books in the same vein: You Must Revise Your Life (Poets on Poetry),Writing the Australian Crawl (Poets on Poetry), and Crossing Unmarked Snow: Further Views on the Writer's Vocation (Poets on Poetry). There's a line in American poetry running straight from ideas of Ralph Waldo Emerson through Emily Dickinson, Walt Whitman, Wallace Stevens, and William Carlos Williams. Stafford, like Dickinson, is humble. He's proximite to nature, sees into the depth of the world, speaks directly to to his reader like a friend and with greatest facility in everyday language--all of which place him right in that line. The Best American Poetry series is a beloved mainstay of American poetry. This year's edition was edited by one of the most admired and acclaimed poets of his generation, Charles Wright. Known for his meditative and beautiful observations of landscape, change, and time,Wright brings his particular sensibility to this year's anthology, which contains an ecumenical slant that is unprecedented for the series. He has gathered an astonishing selection of work that includes new poems by Carolyn Forché, Jorie Graham, Louise Glück, Frank Bidart, Frederick Seidel, Patti Smith, and Kevin Young and showcases a dazzling array of rising stars like Joshua Beckman, Erica Dawson, and Alex Lemon. If your only experience with this series is the unfortunate Best American Poetry 2007, then Best American Poetry 2008 might not be enough to persuade you of the value of this series or the worth of contemporary poetry.But I would urge you at least to give it a chance.In his introduction, editor Charles Wright refreshingly forewarns us that he likes "things to make sense" and that we shouldn't look for "language games, intellectual rip-offs, or rhetorical sing-alongs," all ideas that made me optimistic about the book's contents (and made me wonder if he was referring to the noted weakness of the 07 version).For the most part Wright stays true to his word, as a good number of these poems both please the ear and excite the mind.The clash of styles among the poems can be jarring--an inevitable flaw in any series of this nature--but that does not take away from the individual successes you find inside.Oddly the poems seem to be weakest in the middle (purely an accident of its alphabetical structure), when the unnecessary obscurity of so much contemporary poetry supplants the heartfelt intensity Wright seemed to be seeking.Everyone will have their favorites, of course, which is why I would recommend you take a look at the book--it won't please everyone, but everyone should be able to find something pleasing somewhere inside. I am not a great fan of anthologies, but I always make an exception for this series.Each annual collection is framed by the guest editor's sensibilities.Each includes provocative essays by series editor David Lehman as well as the guest editor.While one may argue both with poems included and excluded each year, over time the series provides a lively collection of contemporary American poetry. Since this is an anthology I didn't expect to like all the poems and I didn't; although several were outstanding. Some poems didn't seem to fall into any format regarding theme orstyle.Is this the best of new, new, modern poetry? Maybe the editor and I just don't like the same type of writing.
" 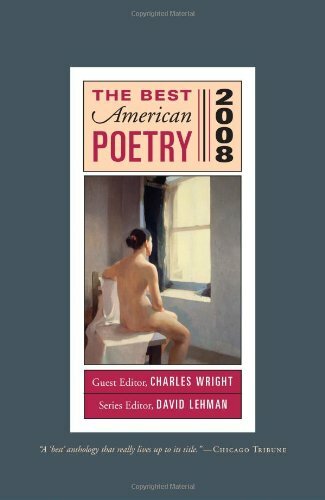 'they sound like sculptors sanding away at the monolith' "
The Best American Poetry 2008: Series Editor David Lehman, Guest Editor Charles Wright (Best American Poetry) collects works of over seventy poets, in alphabetical order from Tom Andrews to Kevin Young. Tim Ross'a phrase about "sculptors sanding away at the monolith" is a pretty good way to characterize the verse, mostly free, in these pages. The volume is nearly all solemnity and heft. To suggest that Erica Dawson's "Go on, and gag on your own gravity--" sums up the selection nicely would be very wrong however. The prevailing gravitas feels right in our sober, unsettled and even eerie post-9/11 world. Some of my favorties in this collection are: "Evening Song," by Tom Andrews, "Wanting Sumptuous Heavens," by Robert Bly, "Rock Polisher," by Chris Forhan, "Threshing," by Louise Glueck, "Snoring," by Mark Jarman, "Resignation," by J. D. McClatchy, "World News," by Sharod Santos, "Hexagon: On Truth," by Dave Snyder, "Thomas Hardy," by Lee Upton, and "No Forgiveness Ode," by Dean Young. David Young's "The Dead from Iraq," begins, "They come back and stand in our midst." He calls them "vague sentinals, stiff at attention." These poems also stand in the readers' midst and seem to form a more ragged phantom line in the mind, challenging and chastisizing. This isn't a book of poems but rather an essay about poetry. He compares poetry to other things, like music and philosophy, and then discusses poetry on its own. He's obviously done a lot of reading becuuse he quotes many other writers to show what they think of poetry. I liked it a lot, and it's short- you can read it in about an hour. This bilingual edition of Tang poems offers a new approach to reading and understanding classical Chinese poetry. Included are nearly two hundred regulated verses written by the great poets of the Tang Dynasty, such as Du Fu, Li Bai, Wang Wei, Li Shangyin, and Meng Haoran. For each poem, both traditional and simplified Chinese characters are provided for cross reference. In addition to its literary translation, each poem is given a bilingual annotation with respect to the literal meanings of each key word or phrase. The tone and pinyin transliterations of each Chinese character are also provided. Readers who are familiar with the pinyin system can learn to recite the original poem the way the Chinese read it. 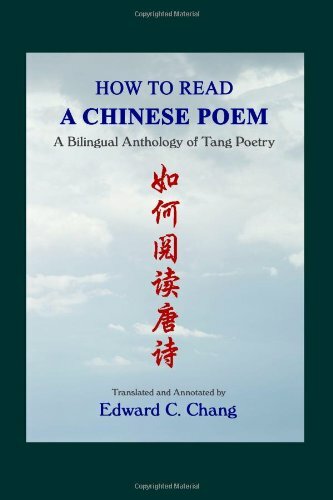 This book is designed to help the readers understand Tang poems from a bilingual perspective. It may also be a helpful learning tool for students who want to learn Chinese through poetry. Edward C. Chang, Ph.D., is the author of "Walking into My World of Poetry: A Bilingual Anthology. He is also the author of the Easy Chinese Self-Study Program Series. This book is misrepresented in reviews and blurbs that say you can read a Chinese poem aloud to yourself after reading the text. There is no way that can be done without a DVD, which this book does not provide. Too, this book lowballs the aesthetics of Chinese poetry in its watered down comments. The contrast with, say Stephen Owen's Chinese Literary Thought, is extreme. Owen does that job well; this book's text is child's play. Worse, the English translations are awkward and unpoetic. Of the price I paid for it, I estimate that about half to two-thirds was wasted money. I anticipated that it would be a gem instead. MA, California State University, Long Beach; MFA, Vermont College of the Fine Arts. For one thing this book is slightly mislabelled. It's a crib and a translation of the famous anthology _ 300 Tang Poems _ / _ Tang Shi San Bai Shou _. It gives the pronunciation in modern Mandarin of every single character in every single poem so that even those who don't know any Chinese, or like me know only a few characters, can appreciate the sound of the poems. No one else has ever done this and the editor is certainly to be praised and thanked for doing such a superb job. I truly hate to be ungracious but the editor chose to follow the traditional order of the anthology, by genre rather than by poet. So if you want to read all the poems of Tu Fu or Li Bo or Wang Wei you have to hunt for them. I think a much better order would have been by poet. Further, the notes about the poet are quite meagre, totally unlike Kenneth Rexroth's masterful essays in his translations. This really is a how to book, but a more complete title would be 'How to Read a Chinese Poems as the Chinese Read them.' Because with just a rudimentary understanding ofromanized pinyin, a reader is able to experiance the euphonious quality of Chinese verse from the Tang period(618-907). 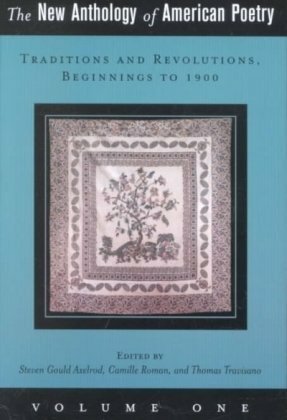 English translations starting in the last century have made these poems popular with modern readers,because these 1,200 year old verses are more compatible with contemporary poetic sensebilities than Europeon sagas and romances written at the same time and all western verse untill the romantic movement. Despite the problems of conveying meaning from the tenseless ambivalence of Chinese to the regimented structure of English, some translations have carried much of the original thrust of the poems, minus nuances, across centuries and grammars and reshaped them into English poetry.But no translation can transport the lyric rhythems of the tonal patterns across the language barriers.This book sidesteps the barriers making Tang cadences accesible to many more. Having enjoyed Chinese poetry from translations,and wanting to find out about the original poems, but having a very limited knowledge of Chinese characters, I looked for books with literal word by word translations. 'Chinese Poetry' edited and translated by Wan-Lim Yip seems to give the most straightforward word for word transcription.Reading the actual loose ambiguous syntax of Tang poetry gives the poems a boundless feel.Its only shortcoming is there is no clues to the poem's intonations. This book rectifies that omission bypassing the language barrier giving us Tang music through a readable romanization and a concise and clear introduction explains the poetic rules of the time.Beware the rhythems are enticing and might lead to an addictive urge to learn Chinese. A National Poetry Series winner, chosen by Edward Sanders. From Lollapalooza to Carnegie Hall, Patricia Smith has taken the stage as this nation’s premier performance poet. Featured in the film Slamnation and on the HBO series Def Poetry Jam, Smith is back with her first book in over a decade—a National Poetry Series winner weaving passionate, bluesy narratives into an empowering, finely tuned cele-bration of poetry’s liberating power. 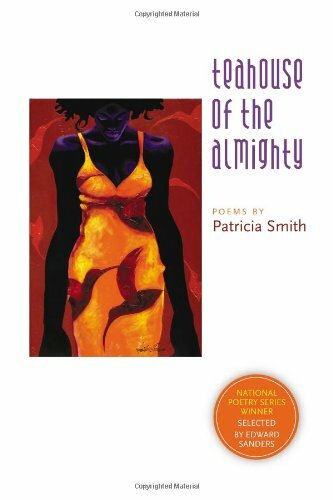 I purchased Smith's Teahouse of the Almighty for I had selected her as my concentration poet for a workshop class I was taking.I had been quite fond of Patricia Smith because of her piece "Biting Back", and had a peculiar anticipation when beginning this collection.She didn't let me down at all. The strength in delivery and tone is undeniably evident in her work.Pieces such as "Her Other Name" hit me with such a convicted presence, that it took multiple reads just to grasp and better understand how well Smith could be both incredibly blunt and fantastically poignant within the very same moment. If almost for nothing else at all, experiencing the first poem in this collection is worth the price. "Building Nicole's Mama" spits at you raw imagery of truth while making you consider the beauty, power, and responsibility that comes with putting yourself and words down on pages. If you have never experienced Patricia Smith before, this collection is a very worthy admissions ticket.